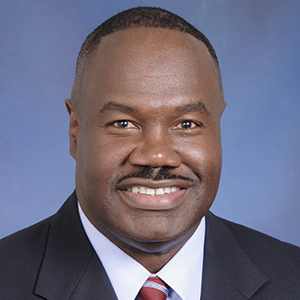 MIAMI, August 21, 2018 – The Florida Sports Foundation recently appointed Keith R. Tribble, president and CEO of Jackson Health Foundation (JHF) to serve a four-year term. The Florida Sports Foundation, Inc. is a non-profit corporation, serving as the Sports Industry Development Division of Enterprise Florida, the principal economic development organization for the state of Florida. The Florida Sports Foundation assists communities around the state with securing, hosting and retaining sporting events and sports-related businesses that generate significant economic impact. Mr. Tribble began his career in sports at the University of Florida where he earned a bachelor’s degree in journalism in1978. He went on to serve as the associate director of athletics at University of Central Florida (UCF) in 1992. Throughout career, Mr. Tribble has earned a reputation for leadership, excellence and a strong commitment to bettering local communities. During his tenure at UCF, he spearheaded efforts to secure a $15M deal for the construction and operation of both the 45,000 seat Bright House Networks Stadium and the 10,000 seat UCF Arena. He was instrumental in increasing charitable contributions for the UCF athletic department from $3.75M to a record $7.3M. Prior to his work at UCF, Mr. Tribble served as the chief executive officer of the Orange Bowl Committee, an annual collegiate football game played at Hard Rock Stadium in Miami. He was charged with raising funds to support programs and initiatives. The Orange Bowl Committee recognized his outstanding work by establishing the Orange Bowl Keith Tribble Impact Award, which honors a South Florida resident who has made a significant impact in their community. In 2014, Mr. Tribble took the helm at JHF, overseeing all fundraising efforts for one of the nation’s largest and most respected public healthcare networks – Jackson Health System. At JHF, he has been charged with developing philanthropic activities that will assist the taxpayer-owned health system, in advancing its outstanding reputation for providing world-class medical care to South Florida residents and patients from across the country and around the world. In his first two years at JHF, Mr. Tribble and his team secured over $40M in new gifts. Mr. Tribble was also named by Sports Illustrated as one of the “20 Most Powerful People in Sports” and “Most Influential Minority in Sports.” Legacy Magazine also honored him as one of South Florida’s most influential African-American leaders in healthcare.